Multiple vulnerabilities exist in the Cisco Wireless LAN Controllers (WLCs), Cisco Catalyst 6500 Wireless Services Modules (WiSMs), and Cisco Catalyst 3750 Integrated Wireless LAN Controllers. This security advisory outlines details of the following vulnerabilities: Denial of Service Vulnerabilities (total of three) Privilege Escalation Vulnerability These vulnerabilities are independent of each other. Yesterday Cisco has published 3 different vulnerabilities, which can be exploited by malicious people to conduct a DOS attack or a Remote control attack. 1) Cisco ONS Platform Crafted Packet Vulnerability The Cisco ONS 15300 series Edge Optical Transport Platform, the Cisco ONS 15454 Optical Transport Platform, the Cisco ONS 15454 SDH Multiservice Platform, and the Cisco ONS 15600 Multiservice Switching Platform contains a vulnerability when processing TCP traffic streams that may result in a reload of the device control card. A vulnerability exists in Cisco Unity that could allow an unauthenticated user to view or modify some of the configuration parameters of the Cisco Unity server. Cisco has released free software updates that address this vulnerability. A workaround that mitigates this vulnerability is available. 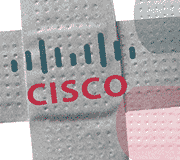 Vulnerable Products All Cisco Unity versions, 4.x, 5.x and 7.x, may be affected by this vulnerability.